Welcome to our lovely 3 bedroom, 2.5 bathroom villa in Sunset Lakes. Our beautiful home sleeps 7 people and is exquisitely furnished to the highest standards and offers the utmost in comfort and luxury. As it is our own holiday home we take great care in ensuring that it is always tastefully decorated and kept in superb condition. 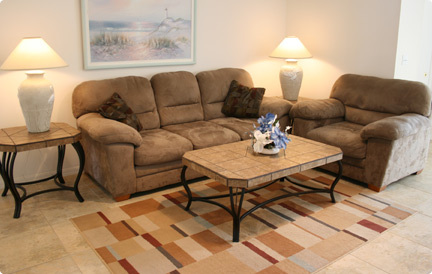 We are pleased to welcome guests who will treat our villa with the care and respect they would afford to their own home. Truly spacious with full air conditioning it is located all on one level and has fitted alarm, smoke detectors and emergency lighting. 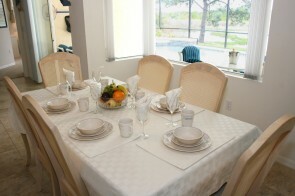 The villa is fully licensed and meets all fire and safety regulations. 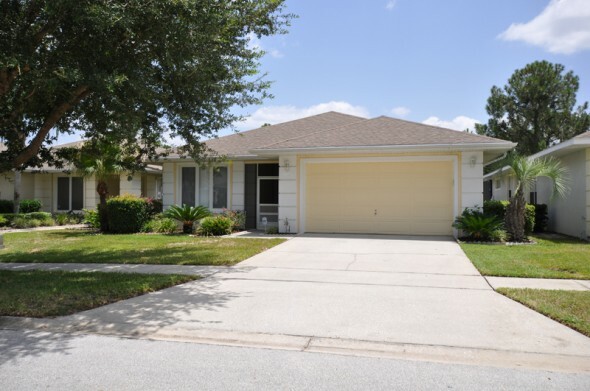 The keys can be sent to your home address (European guests) or collected from a lock box on site (USA guests), thereby avoiding the need to drive to a distant pick-up point upon your arrival in Florida. A particular feature of our villa is the south facing, screened, heated pool with multi-coloured LED lighting and an extra large sundeck area, incorporating a spacious covered lanai with luxury pool furniture, table and chairs. There is a half bathroom adjacent to the pool area making it ideal for children. 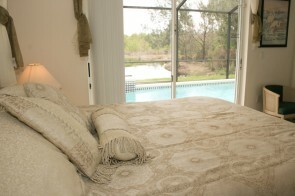 Scenic views across a small natural lake and conservation area ensure that you are not overlooked from the rear. 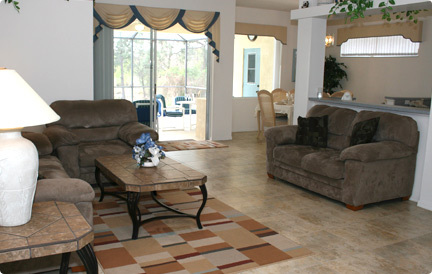 You can relax in comfort and style as you watch an abundance of Florida wildlife from the privacy of your own private pool area!! The living room is spacious and open plan with two sofas and one armchair. There are also coffee & side tables, wide flat screen TV offering 250+ Cable channels, video player with a selection of films, Nintendo Wii, hi-speed internet access, print scan & copy facilities, a selection of board games and a small library of books. 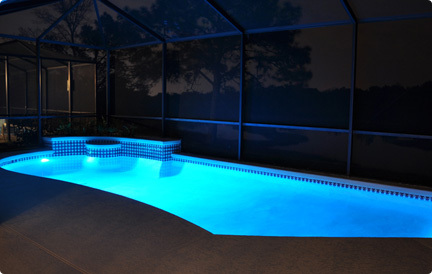 Large sliding doors lead from the living area to the lanai, patio and pool area. An overhead fan helps with air circulation. 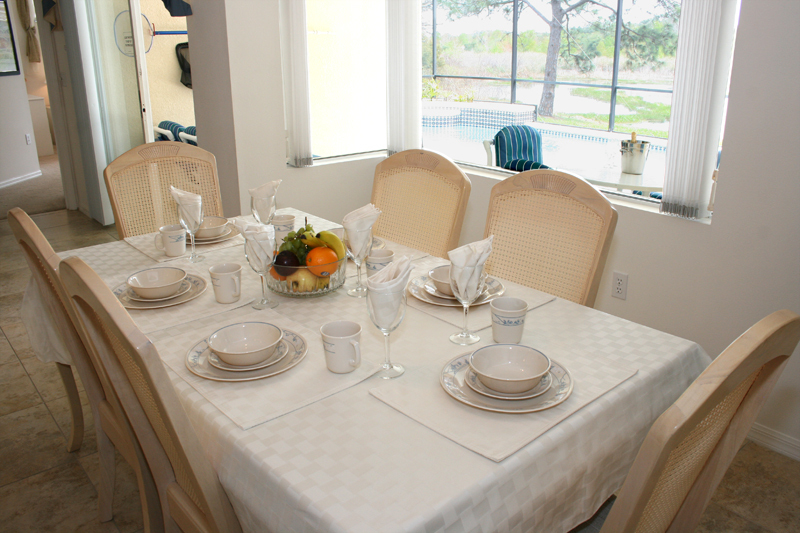 The dining area has a table and seven chairs with picture window overlooking the pool area. 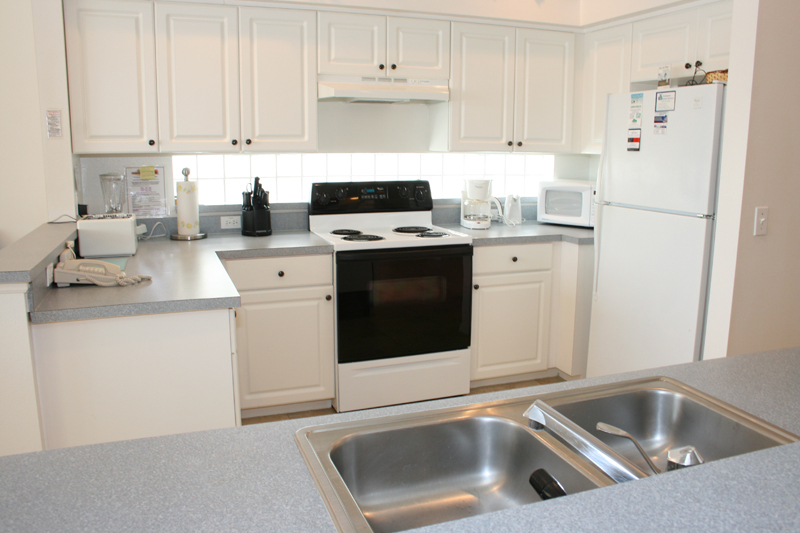 The kitchen is adjacent to the dining area and has ample cooking utensils, pots, pans, dishes, cutlery, crockery and glassware as well as a fridge freezer, with ice making facility, cooker, dishwasher, microwave, toaster, coffee maker, food mixer and garbage disposal unit. A telephone is installed which currently provides for limited free calls – on a local, national and international basis. The utility room is equipped with top loading washing machine, large dryer, iron and ironing board. 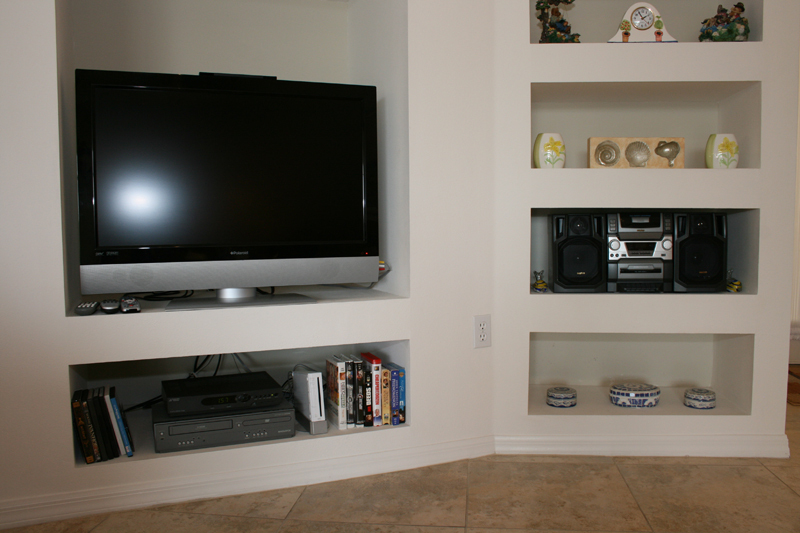 There is a double garage with ample storage space for one or more cars. 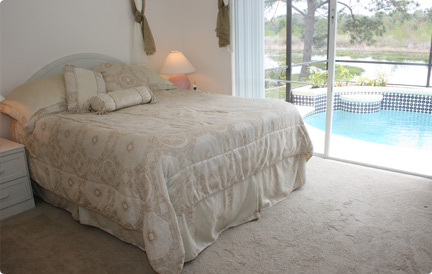 The villa has 3 bedrooms – one master, one queen and one twin – and together with a rollaway bed, sleeps 7 people. 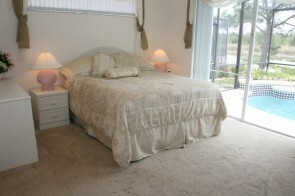 The master bedroom has a king size bed with two bedside cabinets and dressing unit. 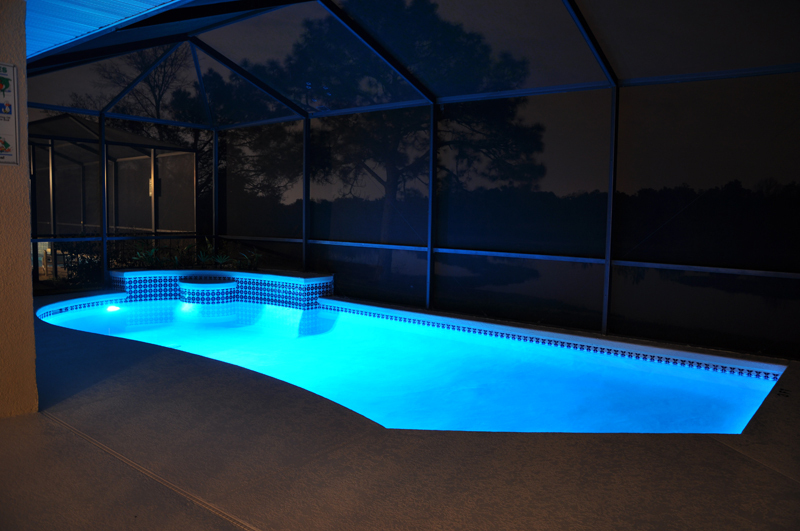 Large sliding doors lead to, and overlook, the pool area. 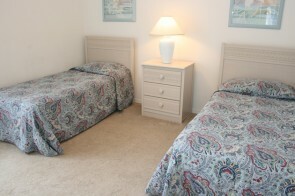 There is an overhead fan, alarm/clock radio, telephone, flat screen TV and two large walk in closets. 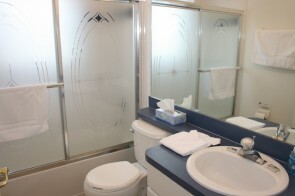 There is a beautiful en-suite bathroom with his & hers sinks, WC, bath and shower. Hair dryers and styling brushes are provided. 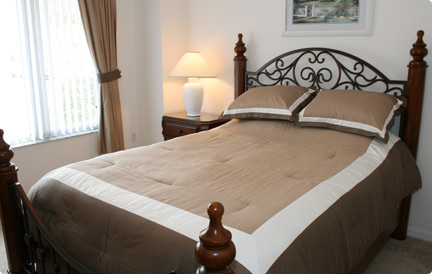 The queen bedroom, located to the front of the villa, is equipped with flat screen TV, bedside cabinets, dressing unit with drawers, walk in closet and overhead fan. The twin bedroom which has two single beds is equipped with flat screen TV, DVD player, bedside cabinet, walk in closet and overhead fan. The second bathroom is conveniently positioned adjacent to both the queen and twin bedrooms and is equipped with bath, WC, shower and sink unit. 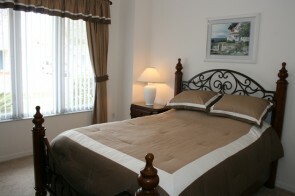 All bed linen and house towels are provided. Should you have any questions please don’t hesitate to drop us an email. 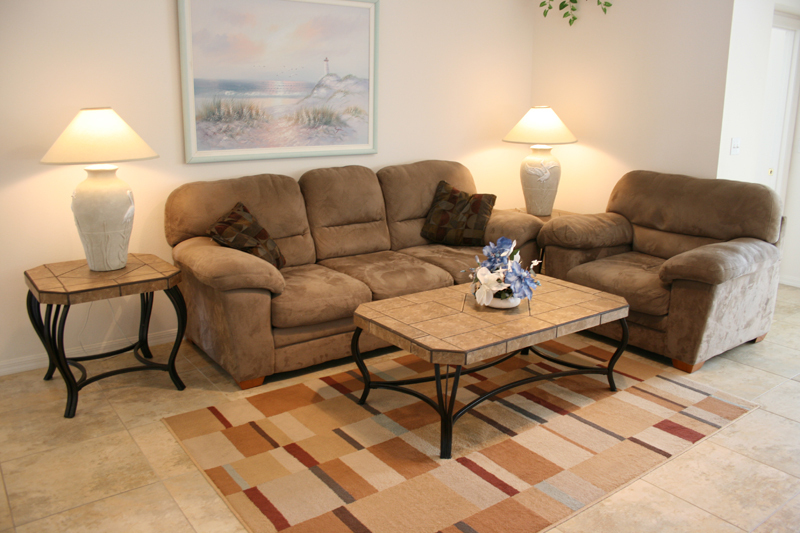 We thank you for taking the time to visit our web site and hope that we will have the opportunity, in the near future, of welcoming you to our growing list of satisfied guests who have experienced a wonderful vacation with us in Sunset Lakes. 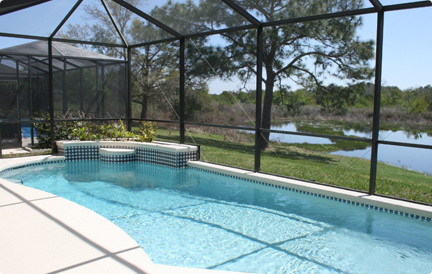 We had a marvellous time, the villa is a tranquil haven away from the hustle and bustle of Disney.